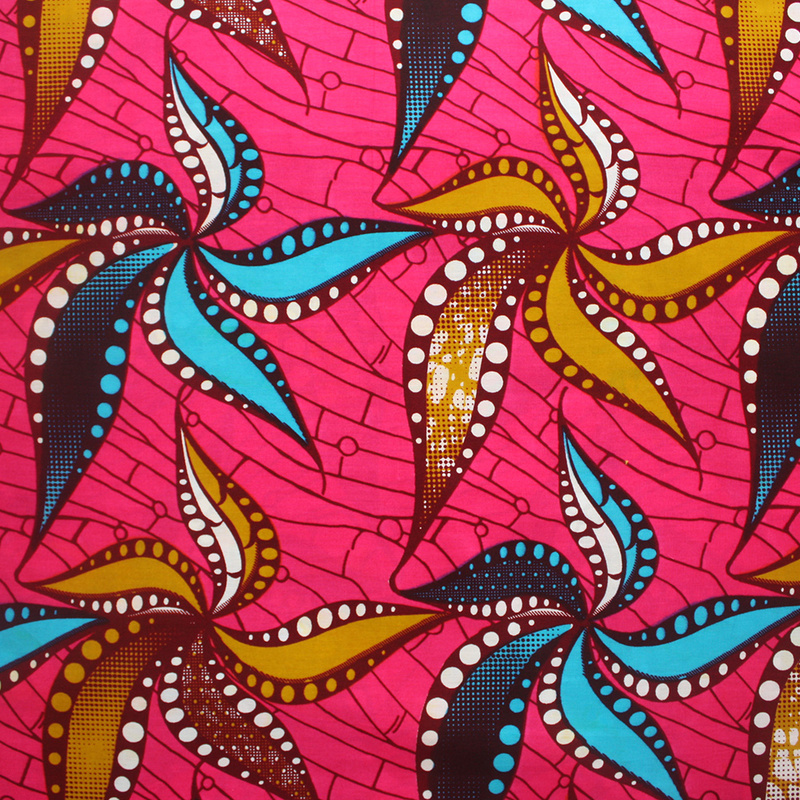 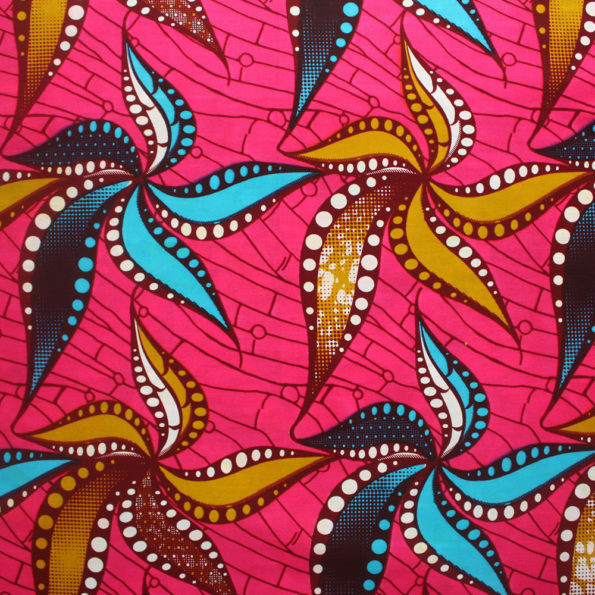 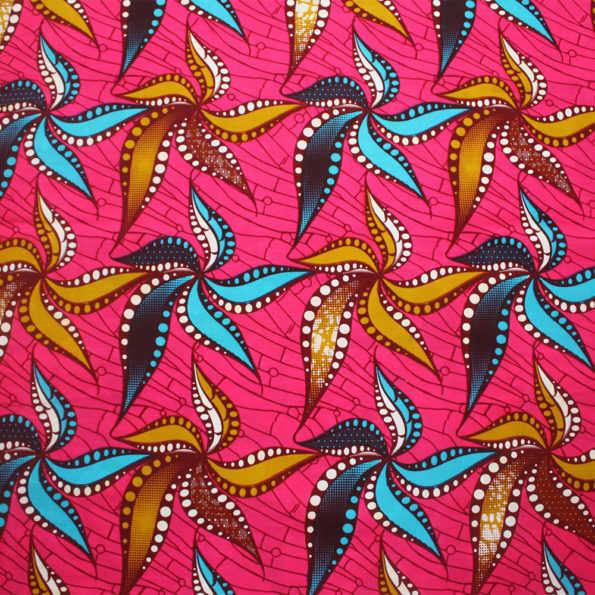 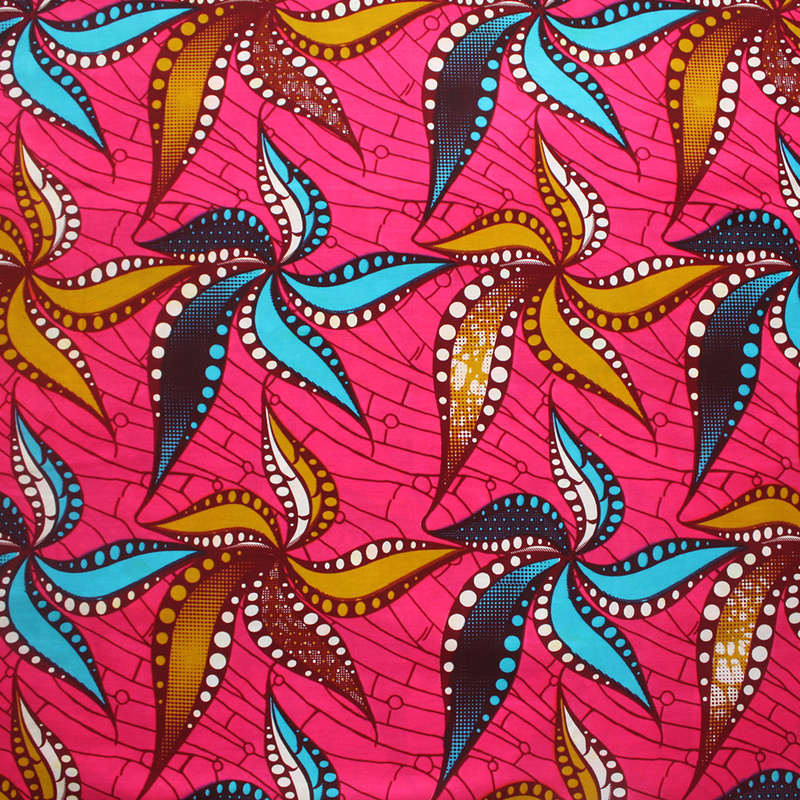 A bold and bright ankara print fabric. 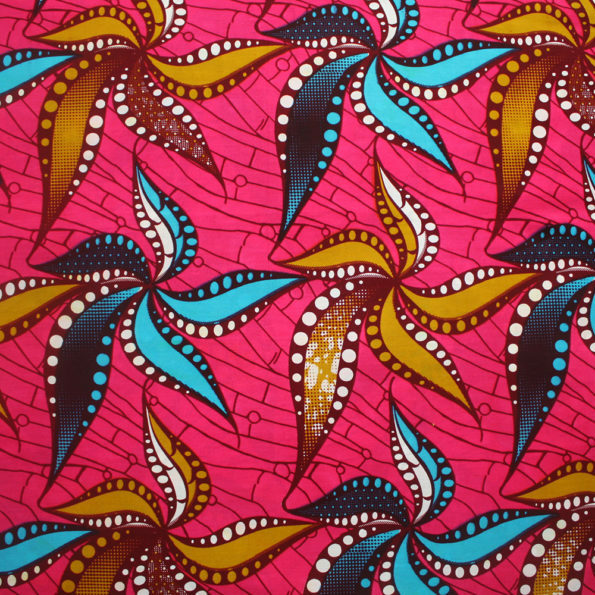 This is a 6 yard bundle, which is a continuous length of 6 yards approximately 5.5 metres. 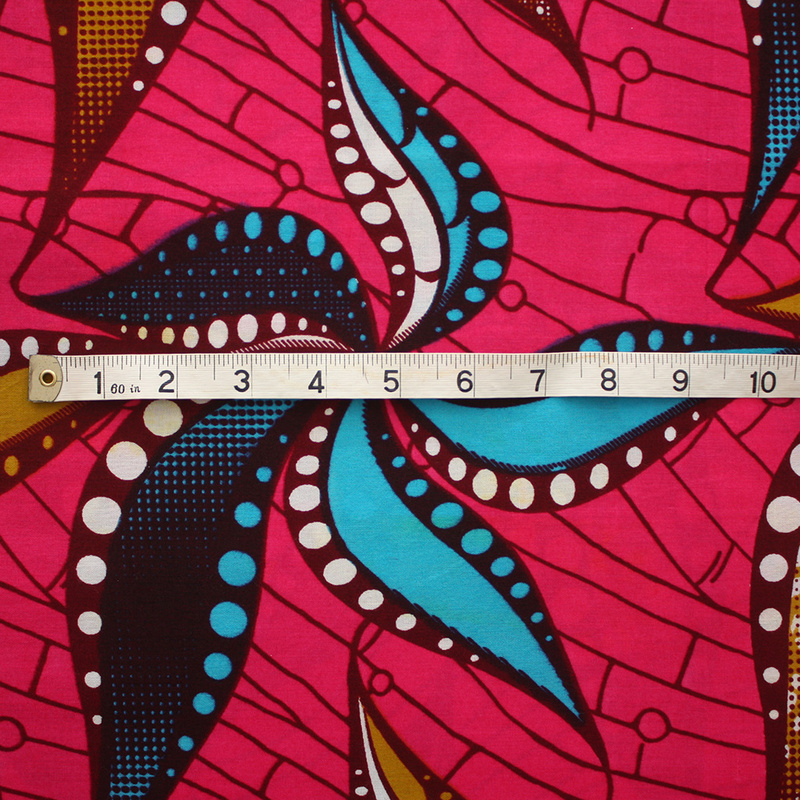 To get an idea of the scale of the patterns on the fabric, a tape rule is shown in the last image with units displayed in inches. 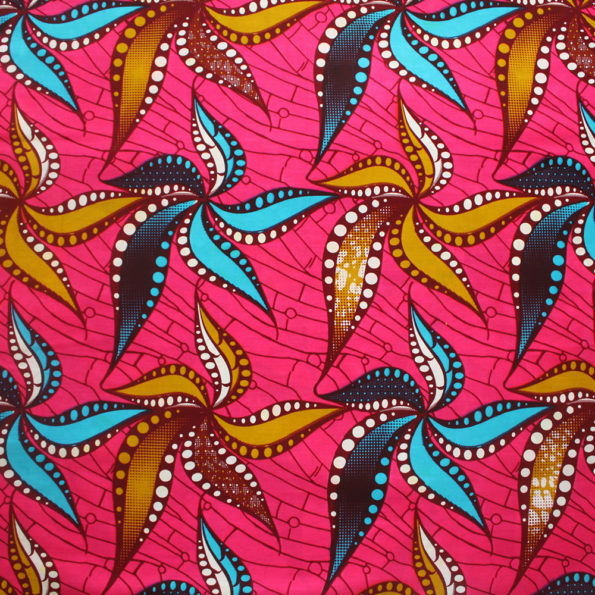 Each flower is about 10 inches wide, approximately 25 cm.